List of Social Networking Classes held in Toronto by Ecommerce Business Solutions. 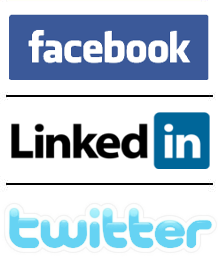 Social Networking is the process of promoting your company's or client's business through the social networks. Social networks have replace how consumers investigate and make buying decisions. Facebook the big giant that cannot be overlooked, with over 550,000, 000 members, and combined with Twitter and LinkedIn, social networks can help you build trust, respect, and credibility by getting people to know and talk about your organization. Ecommerce Business Solutions has develop social networking classes that help business professionals and business owners understand to use social networks to their full potential. We eliminate the mystery and demystify the process. First of our social networking classes, we cover the largest social network to-date, Facebook. In our Facebook class, you learn the how-to steps to market your or your client's business effectively on Facebook™. Facebook marketing techniques and strategies revealed. Second of our social networking classes, we cover the largest business network to-date, LinkedIn. In our LinkedIn class, you learn the how-to steps to market your or your client's business effectively on LinkedIn™. LinkedIn marketing techniques and strategies revealed. Our 3rd installment of social networking classes covers marketing on Twitter™. The Twitter social network has grown in alarming rate. With millions of "Tweets" a day, how does businesses manage? Our Twitter class will help you filter the communication and use Twitter effectively for business.